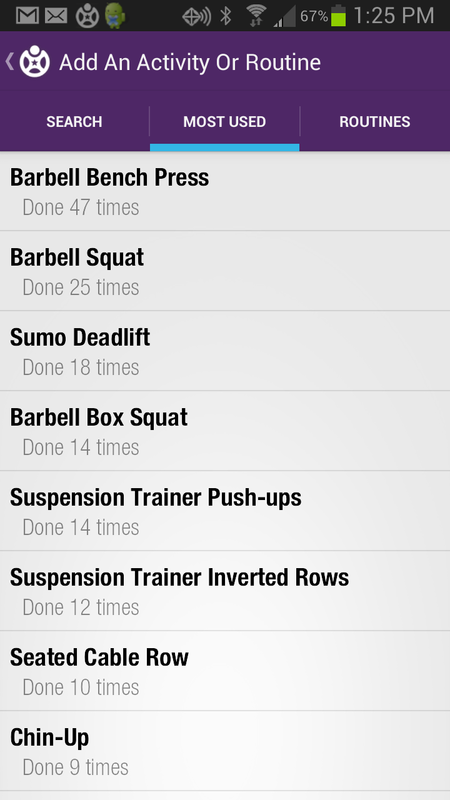 What Are Your Most Used Exercises? Perhaps you haven’t figured it out, but I love me some Fitocracy. I joined in September and have tracked 91 workouts on the site so far, added a “Hero” membership, and participated in two of their NYC Meet-Ups as well. I headed to Amity Hall this past Saturday to hangout with some my fellow Fitocrats, and successfully dragged my friends KGo and Jason to Bare Burger. As I consider my overall exercise selection, I tend to have a fair balance of pushing and pulling. On upper body days, I prefer to pair pushing and pulling exercises, such as single arm dumbbell rows in between sets of military presses. These reciprocal/antagonist supersets allow you to do more work in a shorter period of time. What about rotating exercises, though? When it comes to volume, there isn’t a Fitocracy system that controls for balance here. Let’s compare a set of 10 chin-ups and a set of 8 military presses at 135, which have similar movement patterns albeit antagonist muscle use. If I’m moving myself (200lbs) x 10, that’s 2,000lbs. If I’m pressing 135lbs x 8 that’s 1,080lbs. The chinning, for two extra reps is almost twice the work.If you reflect on your own workouts, I’m sure you’ll notice something similar; we can pull more than we can push. 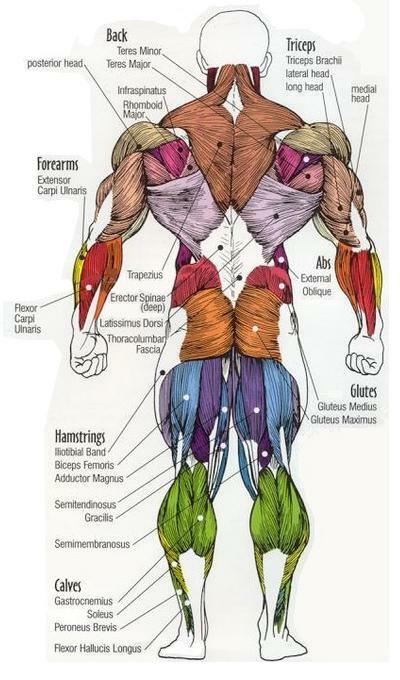 The muscle on the back side of the body (traps, lats, glutes, hamstrings) seem to be the best for developing strength and have the greatest capacity for growth. If your goal is to get hyooge or burn fat, those are muscles that you’re going to want to train. A muscle that is treated with a high training volume and is provided with excess calories (protein, carb) is going to grow. A muscle that is trained for strength and provided adequate calories for recovery (protein) is going to better respond to anabolic and lipolytic hormones. Huh? Lift many weights and be gluttonous, you’ll grow. Lift heavy weights and eat appropriately, you’ll be a lean machine.Regardless of how your tracking system, look at your most used exercises. What are they?Most of us can get carried away with pushing exercises for the pecs, shoulders, and quads. We have to be aware of what our body needs to do, and include enough volume and variation in pulling exercises to offset both our training preferences as well as postural and movement deficits we acquire throughout the day.When I take a look back and review the accessory work in my programming, and when I consult and write programs for clients, I keep a watchful eye on getting carried away with the “fun” exercises like bench pressing and squatting, and include the exercises that our bodies crave. Maybe if your pulling strength gets strong enough, you’ll be able to push hands free!